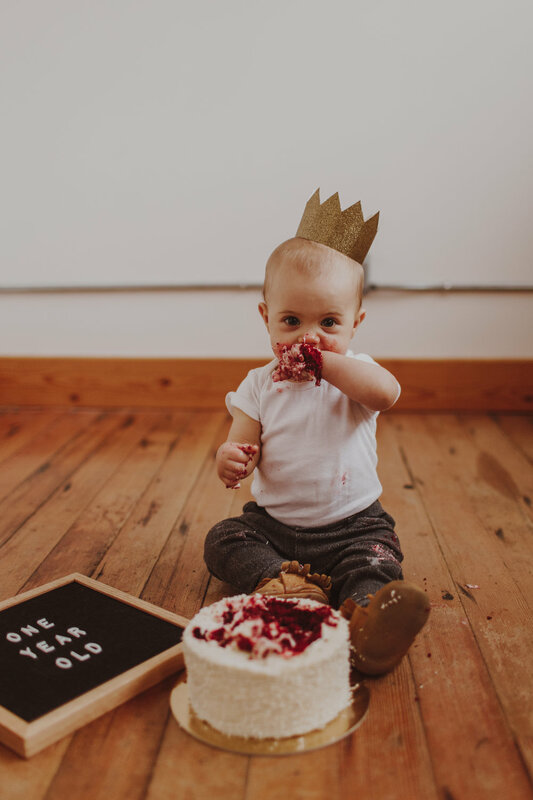 This little one turned one last month and while I didn't opt for a crazy Pinterest birthday party, I did want to get some photos of him to complete my year of doing monthly photos, so we did a mini cake-smash shoot in the studio. 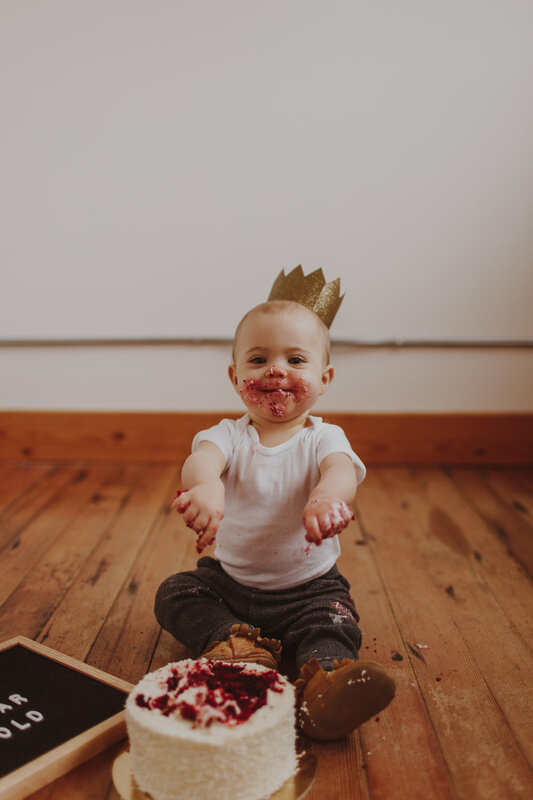 Oddly enough, I basically had to force him to actually smash the cake, he just wanted to poke the frosting! 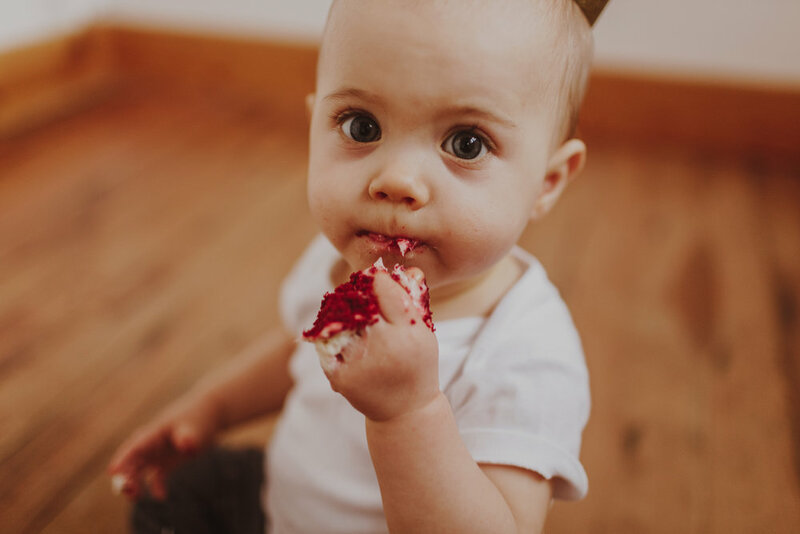 He's never eaten anything sugary or sweet, so I think his mind was blown a little bit when he tasted the frosting. This year has been the most challenging of my life. In my business, in my marriage, in my personal life, as a mother. I knew it was going to be difficult, but I was definitely not prepared for how intense the first year was. Jack is such a brilliant bright shining light in the world and I can't wait to see how he grows into a person who makes the world such a better place.